Credit scores are everywhere these days. Websites offer you access to your score for free. Credit card companies offer your score as a part of your monthly statement. How do I know if the score reported is accurate? Can I do anything to improve my credit score? Answer some of the most common questions about your credit score. 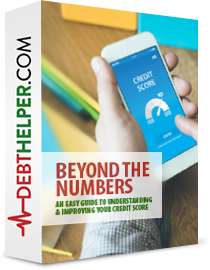 Provide an understanding of the factors that can affect your credit score. Help you to know where you can get the most accurate version of your credit score. Provide helpful tips that you can use to improve your credit score. Dispel some common credit score myths.